Look at what I have here! 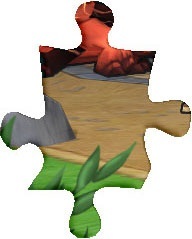 That is right it is a new puzzle piece!! What a Interesting piece it is too. Don't forget to to check out all the fansites for all the pieces to the Mystery Puzzle. Can you guess what it is?